Are you a freelance writer who’s knowledgeable about the dining, food and beverage scene in Utah? If so, let’s connect! Devour Utah magazine is published monthly by Copperfield Media—publisher of Salt Lake City Weekly, Vamoose Utah and Winners Utah magazines as well as the Best of Utah brand publications and City Guide. Devour is the Wasatch Front’s award-winning magazine dedicated to local food and dining. Our pages celebrate the culinary world around us. We cover topics ranging from cutting-edge cuisine, local chefs, artisan breads and cheese, free-range chickens, grass-fed meat, vegan eateries, restaurant-kitchen tricks, cooking utensils, ideas for aspiring cooks and home cooks who want to elevate their dining routines. We also focus on wine, beer and cocktail trends for those who entertain at home or want to be entertained when they go out on the town. What kind of writers are we looking for? professional conduct online and on social channels, including those beyond media outlets. 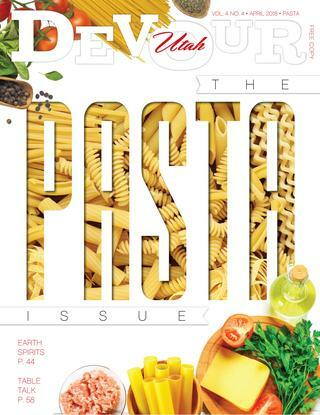 Each issue of Devour Utah is focused upon a theme, such as Appetizers, Pasta and Chefs. In support of the theme, we assign short sidebars and one page articles (@ 150-600 words), mid-length articles (up to 1,200 words) and long-form features (up to 3,500 words). In addition to the above, we frequently assign non-theme articles to highlight new businesses, cocktails and beverages as well as holidays/special occasions. How to submit a story pitch? Devour Utah magazine accepts story pitches from freelance writers (submit them to [email protected]). Before pitching, please familiarize yourself with the features and style of the magazine. Search our website to determine if we have already covered the topic or subject you are hoping to write about, and if we have, consider ways to make your pitch different or more in-depth. Detail why your idea is timely and relevant to our readers and include references you intend to use. Has there been recent coverage in other local newspapers/food publications? Why would this be of interest to Devour readers? When writing for us, include a sense of place (use your senses to describe it), the time of day and/or season (breakfast, lunch or dinner–or seasonal time of year) and your personal perspective. We seek a vantage point: relevance to our monthly theme, cuisine, ambiance, architecture, décor, service. Find an idea or thread for your story, be selective with your descriptions and historical facts and craft a tale of a unique experience that readers can look for and enjoy. Most stories are assigned as print stories, and as such, should have a strong visual component. Stories about restaurants should be based on recent visits to the property—within the previous two months. For any business mentioned in your story, always include contact info, including street address, telephone number and website links (Please double-check this info before sending to us). Write primarily for Copperfield Media publications on food, dining and drink in the Salt Lake City market: We are seeking freelancers who want to write primarily for our publications in the Salt Lake market. If you are a frequent contributor to other Salt Lake-area publications and websites—writing about food, dining and drink—we may opt not to assign stories to you. Disclose conflicts of interest: Writers who operate and/or work for food/beverage organizations and businesses; who maintain food/beverage websites, blogs, social media accounts and clubs must regularly disclose those relationships to the editor. They should also include appropriate disclosures in written work they submit where a conflict of interest may exist or be perceived. If writers have a spouse or close family member who is likewise working for local food/beverage entities, they should disclose any relationship that could be perceived as a conflict of interest. As a general rule of thumb, most dining expenses are to be paid by freelancers. Any dining expenses to be reimbursed will need to be approved by your editor in advance. As a freelance writer, it’s possible that a portion of your dining expenses may be tax deductible. We urge you to consult a tax professional regarding such expenses. Once you have been assigned a story, the editor will outline the scope of the assignment, deadlines, payment amount and any other terms and conditions. Compensation varies depending upon the complexity and demands of the article, as well as the proven experience of the writer. In general, Devour pays writers following publication of the issue where the article appeared, and it buys all rights including copyright. No need to send an invoice to get paid. You editor keeps track of assignments and payments. If a payment seems incorrect, let your editor know. First-time writers for Devour Utah are asked to fill out a contributor’s agreement. If you have never completed such a form, please request one from the editor. Devour Utah magazine assignments include a house style guide, recipe standards and submission checklist, which we would like you to learn and adopt as you work for us. If you are struggling with completing an assignment, please do not hesitate to reach out to your editor as early as possible in the assignment. Photo assignments are made through the production department (not editorial) at the request of the Art Director. Whether assigned to take photos or not, we encourage our writers to take and submit photos of the people, places and foods they write about. If the art director can use your photos, he will contact you about payment terms. —A food image, i.e., your meal brought into better light for a shot before you eat it. —Bonus: An image of your server, the chef or dessert. These images can be taken using your smart phone. Try for a mix of horizontals and verticals. If the writer is unable to take a photo, please provide contact info for someone who can supply art at our request. Send photos to the Art Director ([email protected]) or use DropBox or WeTransfer. Photo credits should be included in all photos. If it’s a courtesy photo, then provide the source (the person, organization or company that sent you the photo). —Always double-check names (including the spelling) and titles of your subjects for articles and photos. Good luck in your writing endeavors for Devour Utah! Use the form below to submit a pitch to the editor.